You want me to break up with Peter? Peter does too have a career ... as a stripper. Everyone needs to make a living! How did we meet? At his work. I was putting a 20 in his pants and I asked him “what time do you get off?” And this was so sweet he said “Right now.” So I'm like "let's get a drink," and I find out his shift isn't over ‘til 11. But I waited. I waited because I sensed he was worth it. He’s worth it. He’s a good person. In his free time, he actually devotes himself to Special Ed … as a student. He works real hard… He's going to make something of himself. He is worthy of me! I don’t want to talk about this with you, Zelda. I’m running late. I’ve got a Yoga class in 15 minutes. Yes, another one. Because being your maid of honor is stressful. 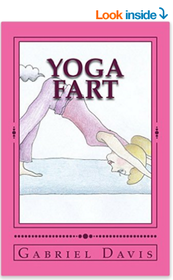 So I’m going to do more Yoga. Now. If in the city that never sleeps I have to become the Yogi that never sleeps, that’s what I’ll do. See you at the wedding!